This diversity of culture and traditions is something that makes us Indians unique and mysterious at times ;) Don't you agree? 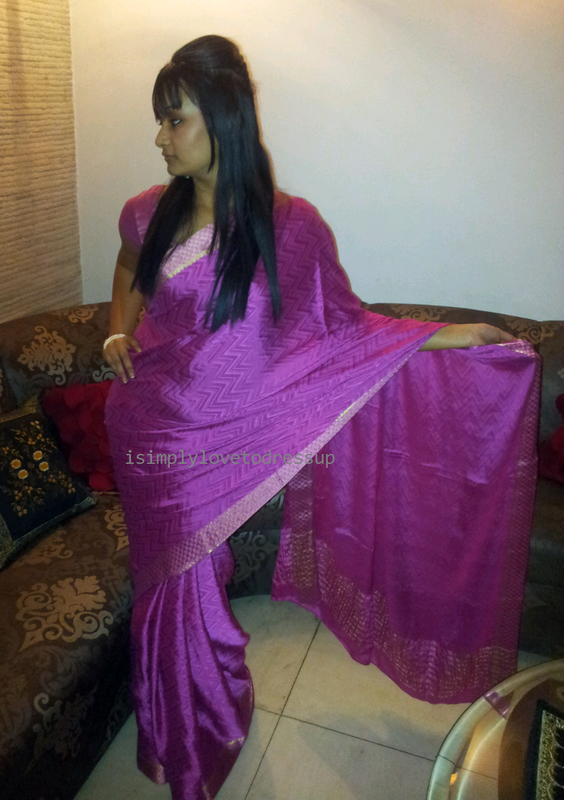 What's your take on Mysore Crepe Silk Sarees? You look great in this saree! Hey ....how much did you pay for this saree??? 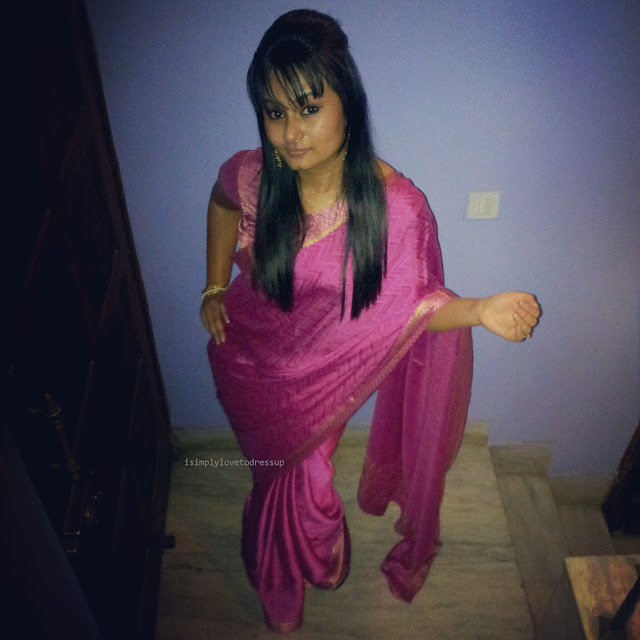 Never looked bangs so cute on a saree..
Gorgeous is all I can say. Exhorbitantly price but lovely to the core. But u get pure Mysore Silk sarees only in KSIC showrooms. It is must have piece in every saree lovers collection. I mean no offence but I have to say Mysore silk saree is the trademark of KSIC. It comes with a unique number and KSIC hologram. They are woven using pure silver zari and in Govt silk factories in Mysore. Outside KSIC they are available as crepe silk sarees but they don't come from silk factory of Mysore. 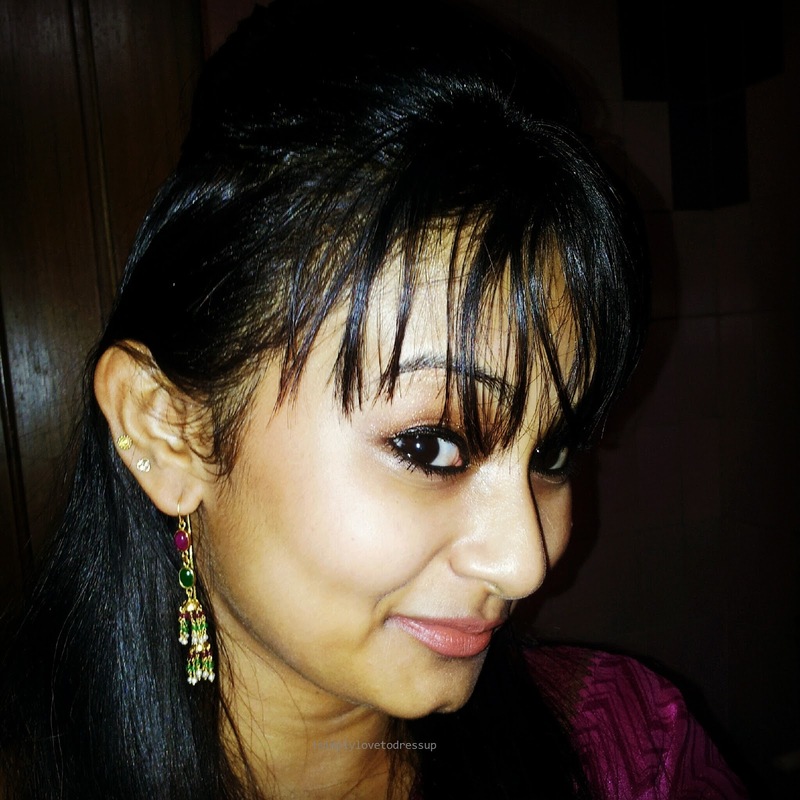 Just discovered your blog and I must say I have to agree with what Madhura says. Mysore Silk Sarees are woven with the pure zari, they do not come in prints that can be found on your saree. Even the border does not belong the authentic Mysore Silk saree. Places like Nalli silks do sell stuff under the name of Mysore Crepe silk but be rest assured it's not the authentic saree.